We were walking and talking. As we got home I was happy to show the book but really couldn’t give up my dog eared copy. 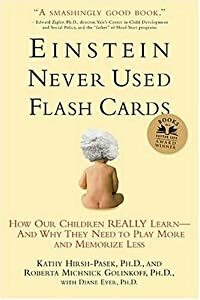 I was wondering if we could make a virtual parenting play list……..what books have you read that you feel every parent should read? Since this is a blog about play books that are play related would be great but parenting books in general are fine. What parenting book is your Top 3 must read list? It touched you in someway and you talk about it all the time or would recommend it? Leave the book title ( and author if you know it) in the comments. If you can share a little bit about the book that would be great but optional. Contest is open to Canada, US and Europe. Is there an Amazon in Australia? Void where prohibited. Contest is open today, Monday 15 February and closes Midnight Sunday 21st February 2010 MST. Winner is chosen by random.org. Winner must reply with postal address within 48hrs otherwise a new winner will be chosen. Looking forward to your entries……………………..
Raising Playful Tots is an Internet radio or Podcast available 24hrs a day . Host: Melitsa Avila of Play Activities. Download each episode yourself visit each show notes to do this or have iTunes do this automatically for you. Week 7th Feb 2010: There are no mistakes in Art! Help! You want to try Art but oh not really…. MaryLea of pinkandgreenmama.blogspot.com shares her inspirational art ideas for the little ones and shares some practical ways to try Art suitable for all levels and stages. Listen to the show . Keep up to date with new show by signing up for the newsletter. When you sign up for the newsletter you get a free 11 page special report 10 ways to extend your child’s play. New show on Wednesday! The Connected Child by Karen Purvis. It is a book that is highly recommended for adoptive parents but as a former teacher I saw a lot of applications for working with/parenting other children. I like that it has practical applications like the importance of kids having a nourishing snack every 2-3 hours to help stabilize their blood sugar and drink plenty of water. I have seen kids’ behavior improve when they are not dehydrated and have had a little to eat every 2-3 hours. It seems like a no-brainer but lots of kids forget to drink water often and don’t recognize their need for a snack. I need to read the title suggestions your readers leave–I haven’t read much lately! However, we are starting solids with my baby and I love Anna Karmel’s book Top 100 Baby Purees. I love this book – but don’t own it so I hope I win. I just tweeted for an extra entry. One of the best books I’ve ever read and highly recommend is The Hidden Gifts of the Introverted Child by Marti Olsen Laney opened my eyes to better understand my daughter. It’s excellent and I refer back to it often! I wish there were more books on introverts. @playactivities That is one of my all time favorite books – I reference it all the time!! The best parenting book I have ever read is “To Train Up A Child” By Michael and Debi Pearl. .-= Larry H. (cakeblast)´s last blog ..Funny Foto Friday XXl =-.